Aztec Washer Company began manufacturing & distributing the Master Flash range of rubber roof flashing\'s in 1967 out of our US manufacturing plant. Aztec is the market leaders of rubber roof flashing\'s worldwide with distribution locations in the UK, Germany, Poland, Mexico and Australia. 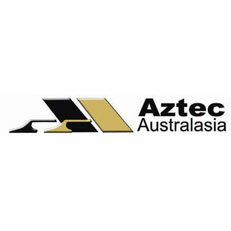 Aztec Australasia began operations June 2010 and are fast becoming the market leader in the roof flashing industry within the Australasian region. With a combined 110 years of Plumbing & Roofing experience, we pride ourselves in providing exceptional service, continuous product development, competitive pricing and the ability to fulfill orders in full on time. With warehouse locations in Melbourne, Brisbane and Perth we ensure a next day delivery service. All of our Master Flash products are backed by a 25 year warranty. With flashing designed for both Metal & Tile roofs Aztec has you covered. If you’re looking for a quality roof flashing, look no further than Master Flash by Aztec Australasia.